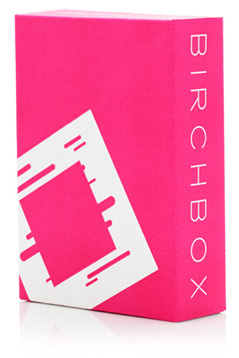 I know I teased about this awhile ago, but I finally got around to completing my Birchbox review for the July 2012 box. I apologize if it seems a little haphazard! I am nearing graduation from grad school, so between all the coursework, internship, and work wrapups, plus job hunting and moving out of my apartment, it has made for several hectic weeks! Read ahead to find out what I thought about this month’s products! Sample Size: 0.25 fl. oz. 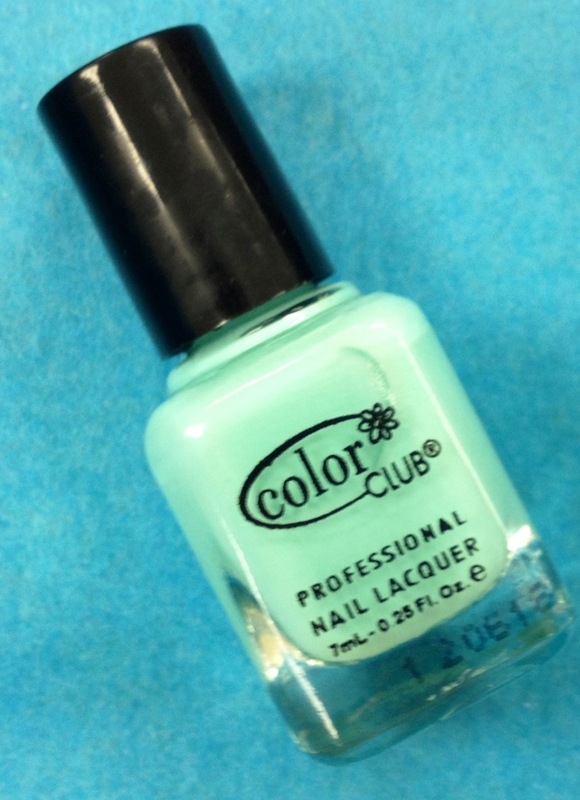 Birchbox says: Use this green-turquoise polish on fingers and toes all summer long. My thoughts: I love getting nail polishes in my Birchbox, they can do no wrong. However, this is the third time that I got a shade of green, and while green is my favorite color, I like a little variety too! In any case, I love Color Club polishes and the size of their samples, so I can’t complain too much. Birchbox says: Sun, heat, and pollution all strip our hair—happily, this vitamin-rich conditioning complex restores bounce and shine. My thoughts: This deep conditioner is very thick and goes on so smooth. It wasn’t a bad size either, I could definitely get another go out of it. I left it in my hair for about 30 minutes while I was doing other stuff (i.e. painting my nails and drinking wine), then rinsed it out. My hair felt great! And I was very pleased until I dried my hair and it left it looking very greasy. Historically, my hair has been fickle, for years it was straight, then curly, now straight again…oscillating between being dry and normal. But I wouldn’t say I have oily hair and I know I washed it all out, so, who knows. Maybe I’ll try it again once more before I make too many assumptions. Birchbox says: The fragrance equivalent to a wink, this fanciful scent layers fresh citrus and jasmine notes over a base of lavender and pumpkin. 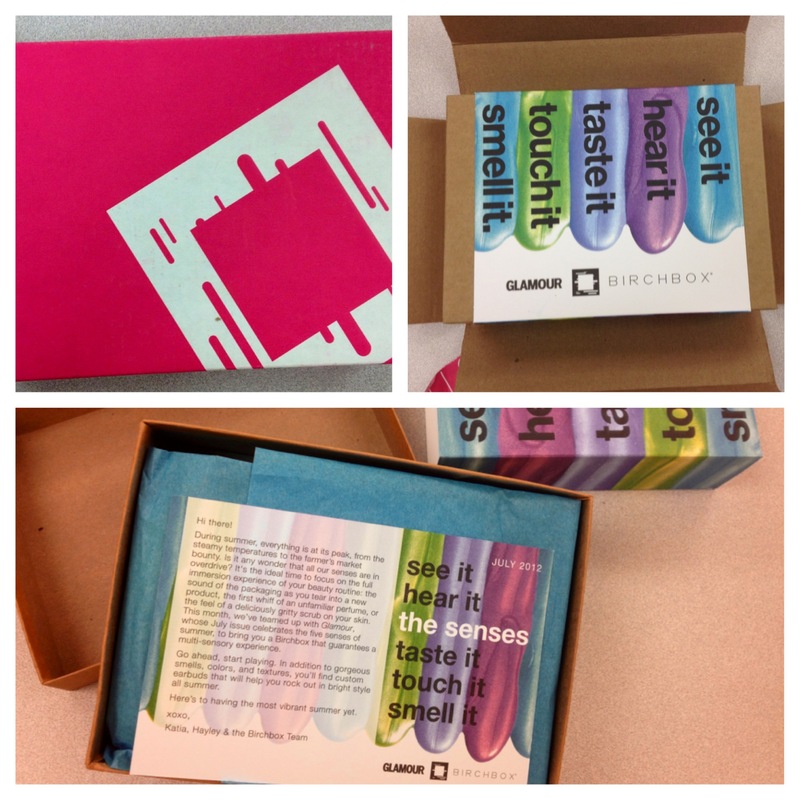 My thoughts: Oh Birchbox and your never ending perfume samples. I have learned not to care too much when I get yet another one in my box. 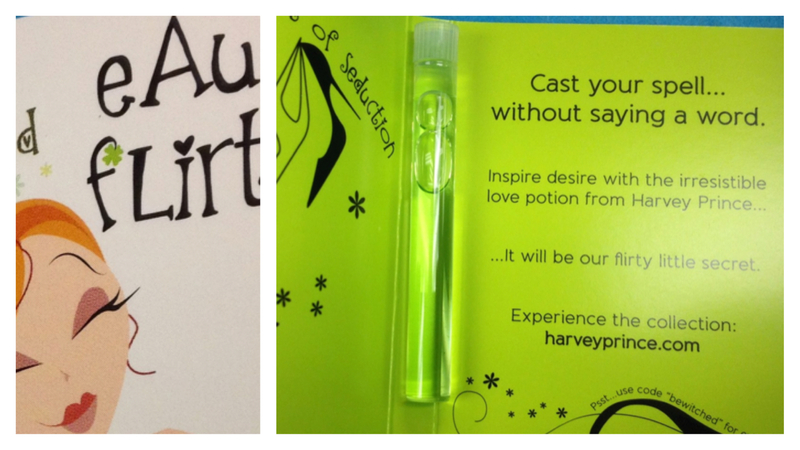 Plus, this Harvey Prince Eau Flirt smelled wonderful! It was subtle and left just enough scent. My only complaint is the sample’s vile packaging…I hate when they don’t have a little spray top because it becomes all too easy for the top to pop off and perfume to go everywhere when there isn’t one. 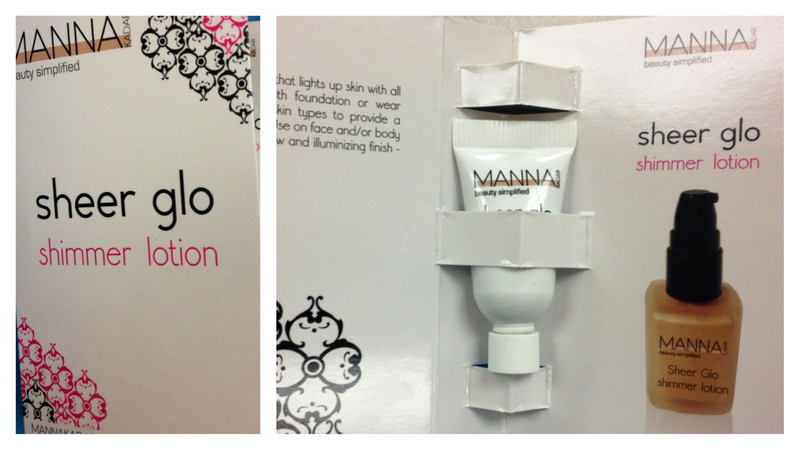 Birchbox says:This cult luminizing liquid adds a supermodel-like sheen to skin. Mix it with your foundation, or apply as a highlighter to cheeks and browbones. My thoughts: I prefer more of a matte look on myself, but every couple days I do use Laura Mercier’s Foundation Primer underneath my foundation. This reminded me a lot like that, except it had more of a tan tint. I doubt I would ever buy it, since I am not keen on being shimmery, but it was fine to try out anyway. 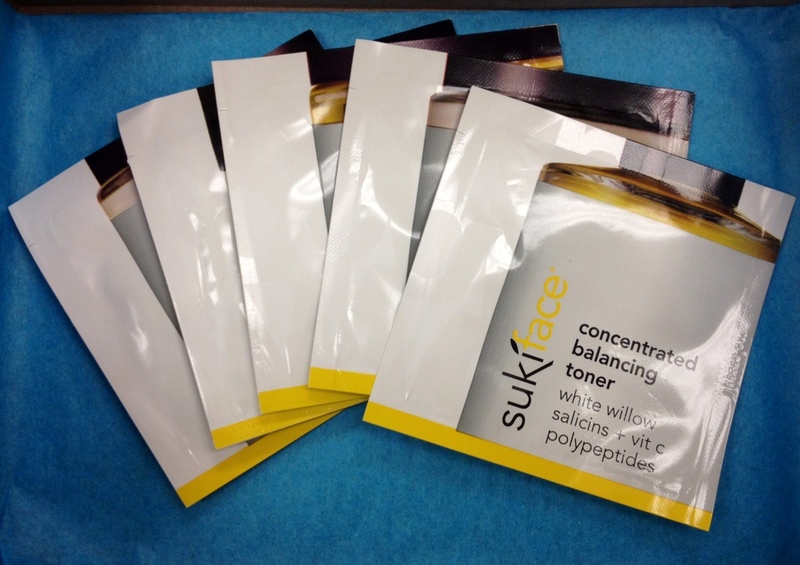 Birchbox says: This all-in-one set calms and purifies troubled skin, leaving it smooth and hydrated. My thoughts: I was intrigued by all these packets when I first opened my box. I could have benefited from a little more instruction when I went to use them, but there’s a pretty logical order. I actually really, really loved this little set, and I’m pretty sure that this is what you get in actual trial kit from Suki, which their website (and others, such as Amazon) list as being $18. 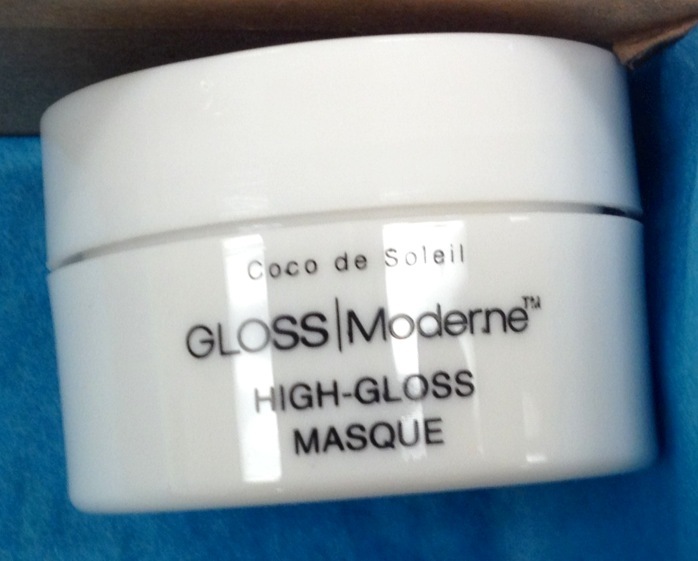 My skin looked glowing, smooth, and healthy after I used the scrub, toner, masque, and oil. It felt a little weird putting oil on my face, but it didn’t cause me to break out or look overly greasy. You can get more than one use out of the packets, but the only downfall is the trickiness of keeping opened packets from spilling. Small bottles of each would have been nice, but I understand the economics of that one. Overall, I would highly recommend using this system. 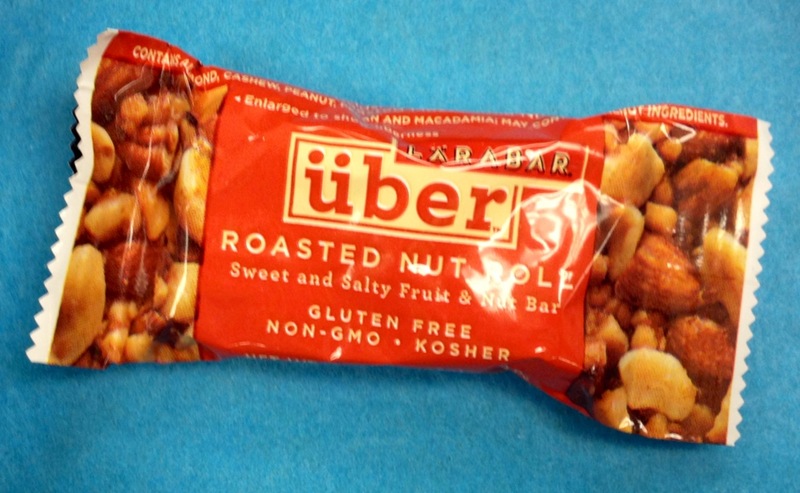 Birchbox says: The latest addition to our snack drawer, these healthy and satisfying bars are packed with dried nuts and fruits. My thoughts: Food, not so exciting. But what was exciting was that I opened my box right when I got to work and had forgotten to bring a snack along and was starving. So, there were no complaints from me pertaining to getting a food item. 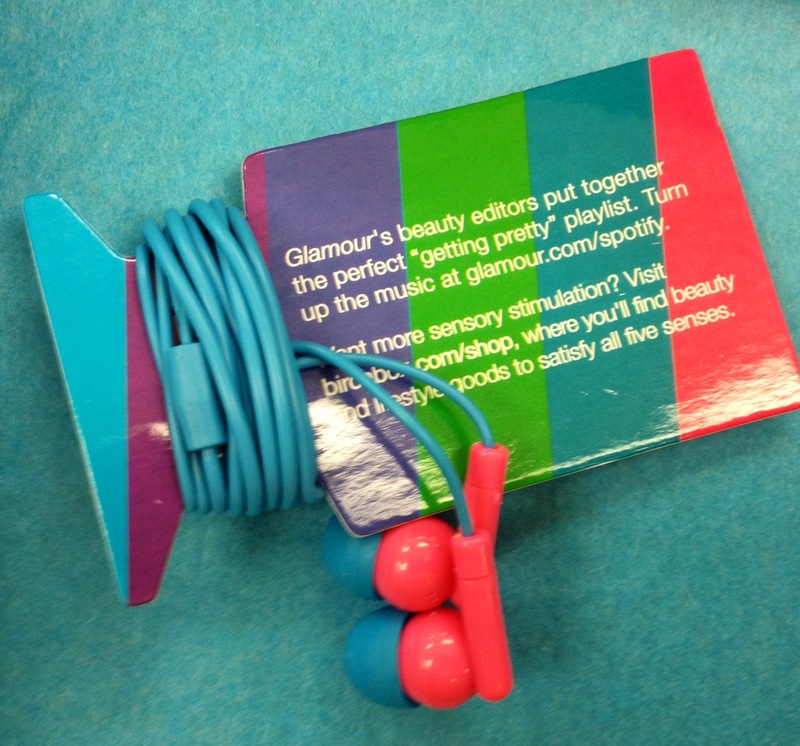 Birchbox says: We designed these neon headphones just for you. Pair them with your best playlist. My thoughts: What a fun extra this month! I really loved getting this in my box, the colors are so bright, and I constantly lose earbuds and needed an extra pair. Plus, the actual earbuds are not the hard plastic, uncomfortable sort, so they fit nicely in my ears. Overall, I would say this is one of my favorite boxes to date. It was certainly the most stuffed and I enjoyed the variety of items, although I was wondering where the make-up products were?! 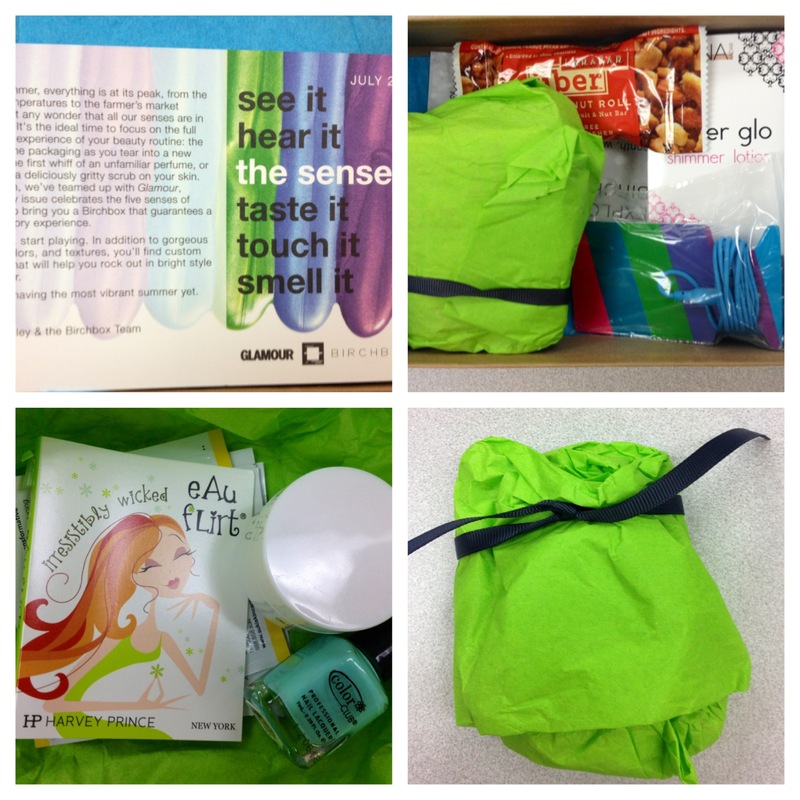 I miss them, Birchbox!